“I didn’t halt, didn’t stop,” writes Hampl of this “uncanny moment.” “I was stopped. Apprehended, even.” Thus begins her fascination with the artist’s gaze via the work and life of Henri Matisse, around whom she fashions her own life and her latest work, Blue Arabesque. From her “gazer at the golden fish,” Hampl turns her eye to the odalisques—those lounging, long-backed ladies draped in silk—and the mystery of their subjectivity in the context of their day and the context of our own. Feminism, after all, drives us to question the subjugation of these “lovely women scattered about like decorative pillows,” but who doesn’t envy the boundless leisure of the harem divan? Or the convent cell? Or the room of one’s own? Are these odalisques, Hampl wonders, objects for us to pity? Or have they realized “the curvilinear satisfaction of just being-here-now, of being alive”? Hampl jokes that the sight of a confession booth beckons to her to “Open the door, open your heart….Tell All, ” but this memoir spends more time on the “eye” than the “I.” Whole chapters tell Matisse’s story, or that of the traveler Lady Montagu who was pitied by the harem dweller for the cage she wore (her corset), or the amateur documentary filmmaker from St. Paul, Jerome Hill, who also made his way to Cassis in his day. And yet, Blue Arabesque is profoundly intimate: “[Memoir’s] great intimacy (the display of perception),” Hampl’s professor-self explains, “paradoxically reveals its essential impersonality. 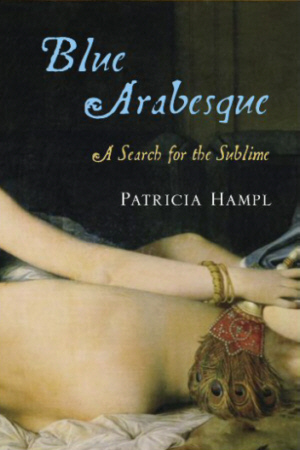 It wishes to see the world, not itself.” In this same line of mirror work, Hampl illustrates with her own prose arabesques how Matisse’s odalisques “do not offer rare glimpses of ‘the East,’ or illicit peekaboos into a real or imagined sultan’s world with its souk’s-worth of colonial loot on exhibit. They display nothing more or less than the mind of Henri Matisse.” And thus this study of the artist displays nothing more or less than the mind of the writer. This lovely, intelligent book reads like rich, leisurely conversation, perhaps outside a French cafe over coffee served in bowls. It would be best read lounging in sunlight, with a plate of dates nearby.